Solo Swim of the Year that will honor the single most outstanding marathon swim of the year. The Barra Award that will honor the most impressive year of marathon swimming, all things considered. In 2013, we added a third category being the “Service to Marathon Swimming” award. This honor those who have gone well above and beyond in the service to the sport of Marathon Swimming and its participants. 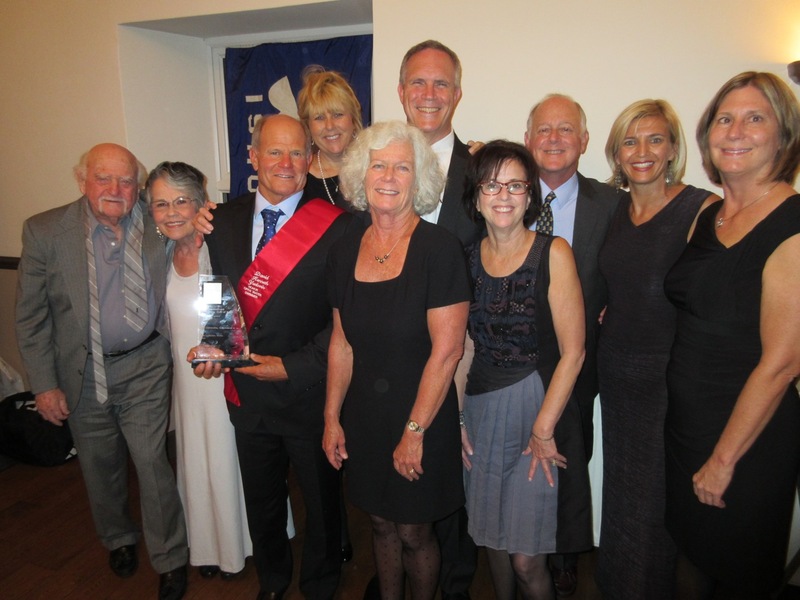 This year, we are excited to announce another new award category – the Yudovin Award, named after the legendary Californian marathon swimmer David Yudovin. 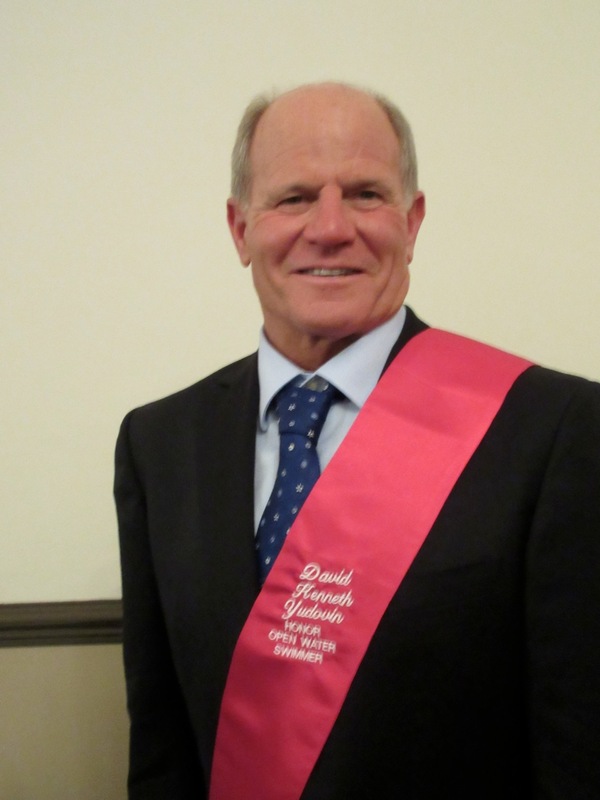 David is one of the very few open water swimmers to be inducted into the International Swimming Hall of Fame. The Yudovin Award honors the single most adventurous swim of the year. To answer the inevitable question - How is this different from ‘Solo Swim of the Year’? I’ll say this – ‘Solo Swim of the Year’ will recognize a purely athletic achievement. In our sport, this might mean extraordinarily long swims, extraordinarily fast swims, or extraordinarily physically tough swims. As an example, past winners like Tina Neill and Trent Grimsey. David gives his personal blessing for this new award. For those of you who attended the SBCSA banquet this year and had the opportunity to meet and chat with him. Wow, does he have some stories! Nominated swims must adhere to traditional marathon swimming rules of which David Yudovin has followed during his marathon swimming career… even when no one was watching. His swims have spanned New Zealand, Indonesia, Japan, California, Mexico, Azores Islands and Madeira Islands in Portugal, Cape Verde in Africa. On June 22nd, International Swimming Hall of Fame Honor Open Water Swimmer David Yudovin completed the first swim from the island Tinhosa Pequena to Principe Island in the country of São Tomé and Príncipe off the western coast of Central Africa. The islands are located near the equator in the Gulf of Guinea. “The swim distance was 11.5 nautical miles,” reports Yudovin from Africa. “It took 6 hours 11 minutes and began in the early morning. The conditions in the channel were very rough with wind and current and sea swells of 6-7 feet that are kicked up by strong storms crossing the southern Atlantic Ocean. The water temperatures were 82-84ºF (27-28ºC) with the wind at 12-15+ knots. We had 2 boats and a television crew on board that saw the swim start with hundreds of cliff-dwelling birds diving at me. At the same time, I had a shark go directly under me. As the swim progressed, I had a beautiful blue marlin swim slowly up to me very closely, look me in the eye, and then slowly swim away. It was 10-12 feet, beautiful, but a little scary. 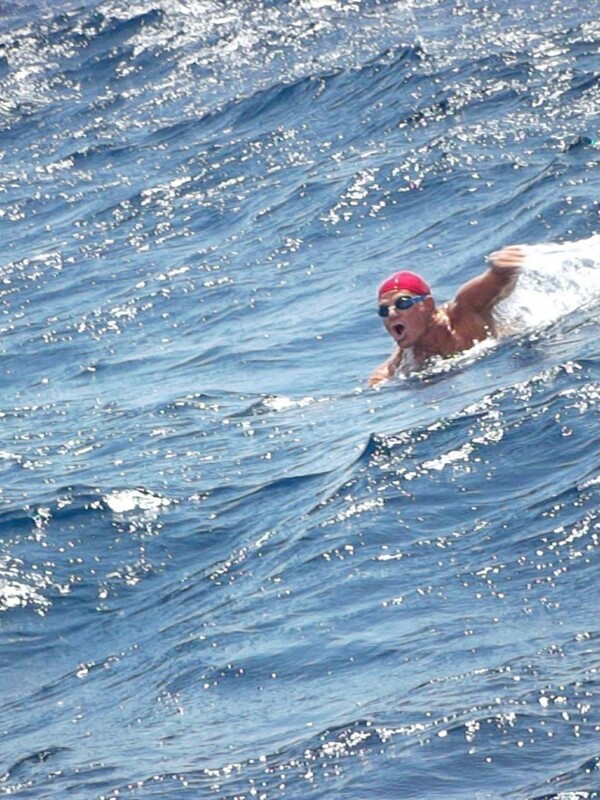 His latest exploit concludes a 6-year channel swimming journey that consisted of 8 channel swims, spanning the Portuguese and former Portuguese islands of the eastern Atlantic Ocean, including the Azores, Madeira, Cape Verde and São Tomé and Príncipe. Imagine swimming against a swift, turbulent ocean current for more than 11 hours to become the first person to swim across the 18 miles that separate the Cape Verde islands of Maio and Santiago, off the Western coast of Africa. 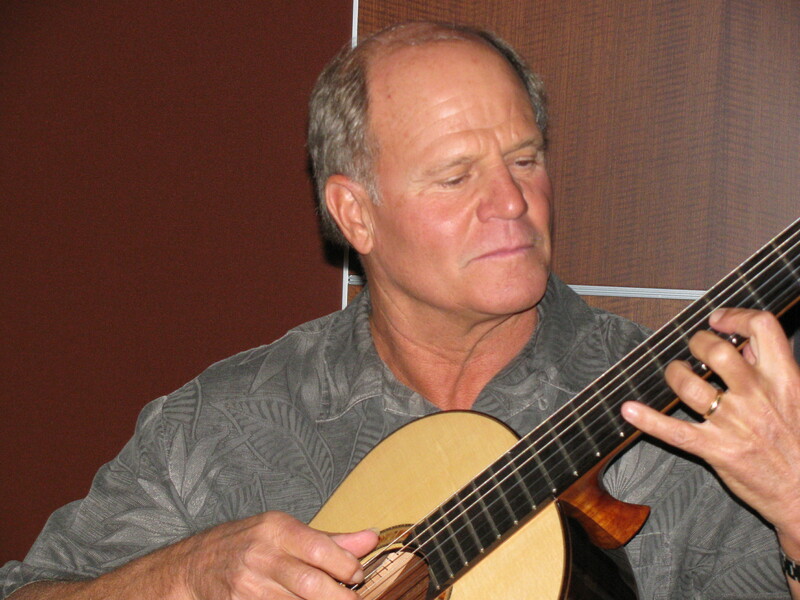 David Yudovin of Cambria — at 62, one of the world’s most prolific channel adventurers — did just that on June 30. David endures an 11 hour and 37 minutes Marathon swim between Maio Island to Santiago Island, Cape Verde, Africa, June 30, 2013. 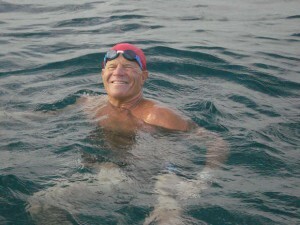 Among Yudovin’s three dozen channel swims since 1976, at least 16 were “firsts.” He is an honor swimmer in the International Marathon Swimming Hall of Fame and a candidate for inclusion in the International Swimming Hall of Fame. Among his swimming accomplishments are conquering the English Channel, battling through deadly whirlpools, adapting to high waves, cold water/hot water and a crossing in Java in which jellyfish stung him thousands of times. His body stayed toxic for more than a year because of all the accumulated venom. 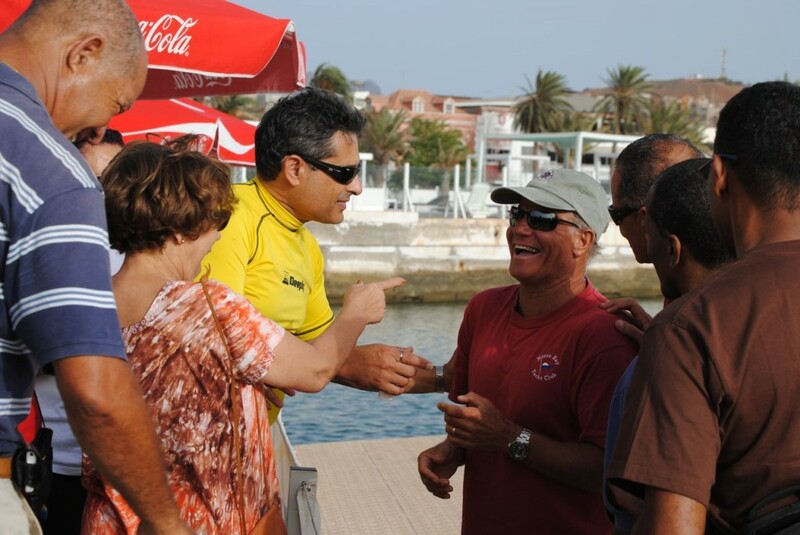 Last year, he finished two other “first” crossings in the Cape Verde archipelago. And he’s not done yet. In October and November he plans to attack another rugged stretch of open water in Indonesia, where he’s already in the record books for first-across swims. Yudovin also survived leukemia and a heart attack, and says he beat the medical challenges by focusing beyond his treatments to his swimming goals. Preparing for his latest channel conquest took “a solid year of total focus and lots and lots of work” before that, including 56 years of demanding daily workouts and long swims, Yudovin told The Tribune in an email from Lisbon, Portugal. In the Maio-to-Santiago swim, he also learned that he has a previously unidentified helper: “This was a proving ground for ingrained muscle memory,” he said, acknowledging that theory isn’t in any text book, but is instead what he considers “a cutting-edge discovery” based on his more than 35 years in the ultra-marathon sport. He described the swim as being “very, very challenging,” under light winds. Once again, his wife, Beth Yudovin, was his coach/captain, and Altino Goulart from the Azores was boat captain. Yudovin is often asked why he puts himself through such life-risking challenges at an age when many of his peers expect to slow down. His answer: It keeps him alive, both in physical health and motivation. His grueling swim schedule of 3 to 10 miles a day “has taught me all the skills for success through intermediate goal setting to achieving ultra goals and learning to deal with success — which is much more difficult than dealing with failure … In failure, it is easy to remain on the same track. In success, a door opens to a new level” that’s even more challenging than the one before. “When I swim, it puts me in a ‘spiritual’ level. I am more in touch with myself. I am in my natural element, and I have had the rewards of affecting other people in a positive way,” through his swimming, volunteering and the inspirational presentations he gives. 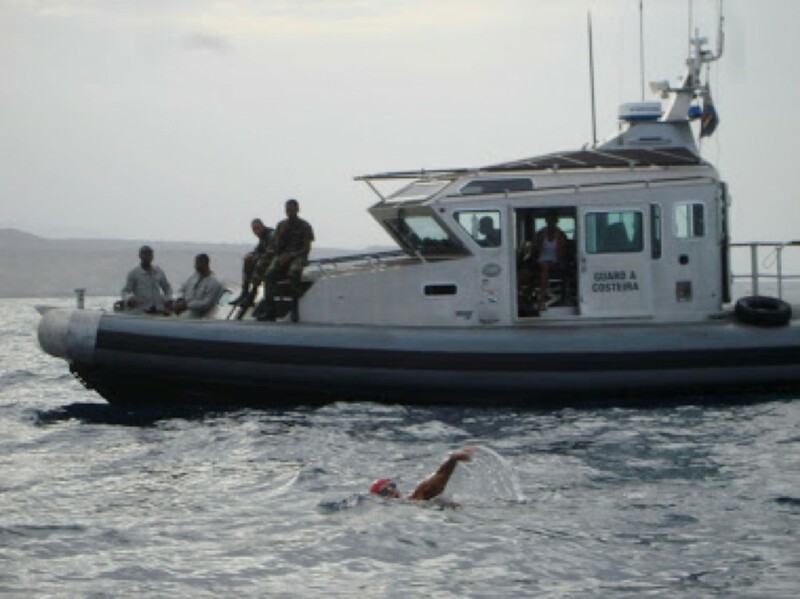 Cape Verde Coast Guard escorts David’s swim. 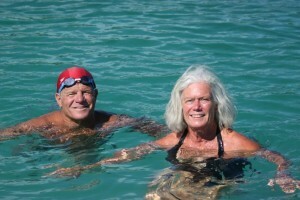 David Yudovin, an Honour Swimmer in the International Marathon Swimming Hall of Fame and a candidate for inclusion in the International Swimming Hall of Fame, continues to do unprecedented channel crossings around the world in his 60′s. Yesterday, one of the world’s most prolific channel adventurers completed another tough crossing. This time, it was a 16 nautical mile (29.6 km) swim from the island of Maio to the island of Santiago in Cape Verdeoff the western coast of Africa. He now has completed 3 unprecedented channel swims in Cape Verde: a 5 hour 44 minute 10.3 nautical mile swim across Canal de São Vicente between the islands of Santo Antão and the island of São Vicente, 12.5 nautical miles between Fogo and Brava in 6 hours 38 minutes, and this latest 11 hour 37 minute 16 nautical miles crossing between Maio and Santiago in 11 hours 37 minutes. Cape Verde in Africa is an island country, spanning an archipelago of 10 islands located in the central Atlantic Ocean, 570 kilometres off the coast of Western Africa. The name of the country stems from the nearby Cap Vert, on the Senegalese coast, which in its turn was originally named “Cabo Verde” when it was sighted by Portuguese explorers in 1444, a few years before the islands were discovered. The previously uninhabited islands were discovered and colonized by the Portuguese in the 15th Century. Six centuries later, the islands are now becoming discovered on another level by more and more open water swimmers including David Yudovin. 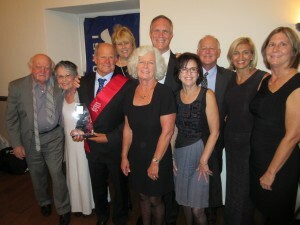 Dale Petranech, Secretary of the International Marathon Swimming Hall of Fame. “He give me inspiration that is we are to be successful, we also are to be as disciplined as David is with this training”. David is one of the most inspiring people I’ve ever met in my life. He’s swum waterways in the world nobody else would have attempted, and made it….He believes he can achieve things, and in doing that, wants to inspire other to reach their goals. Here it is a week later and your message still means so much to those who attended your presentation…your inspiring life experience of health, wellness, overcoming adversity, perseverance, and positive thinking..
Cheryl Johnson, Human Resources Analyst, Thousand Oaks, California. I understand the whole ocean and the need to be there. I know remote island people believe strongly in their spirits and Gods. They live off the land and sea. David proved to them that he is part man, part fish, part strength and part spirit to endure the tremendous physical stress that he placed upon his own body. They watched him transform from a man to something that they believe can only be found in the spirit world. He instantly gained the respect of all. Stories about him will be handed down from father to son for generations to come. NCOR: North Coast Ocean Rescue is comprised of a group of trained volunteers on call 24/7 as first responders to ocean related emergencies along a thirty mile stretch of the Central Coast of California in association with the Cambria Fire Department and is part of the Cambria Community Services District. For further information contact Captain Steve Bitto of the Cambria Fire Department NCOR, Team Co-ordinator. Phone 1.805.927.6240 and email is sbitto@cambriacsd.org. The Cambria Community Council consists of various Cambria non-profit organizations. The volunteer Executive Committee provides management and oversight for donated funds. 1 To distribute donated funds, via grants to local non-profit organizations. 2 Maintain and operate the Cambria Community Bus. The Cambria Community Bus is funded by grants and donations and operated by volunteers. The Bus takes local Seniors and disabled persons where they need to go free of charge.